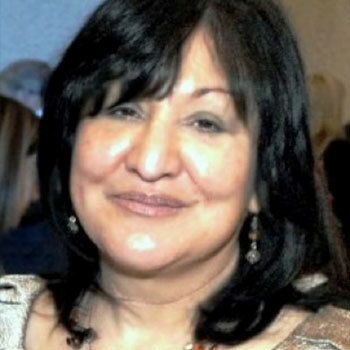 Founder and Executive Director, Detroit Hispanic Development Corp.
Angela G. Reyes has worked in an administrative capacity in various community-based organizations in the Southwest Detroit community for the past 30-plus years. During this time, Reyes has integrated various services into comprehensive programs for youth, young adults and families. She is a founder and current board chair of the Southwest Detroit Community Justice Center, serving the 36th District Court-SW Community Court Section. Reyes recently served as a co-chair for the Coalition for the Future of Detroit Children, making recommendations to the governor, mayor and legislators to improve the city’s education system. Reyes is an international consultant and speaks about issues affecting the Latino community. She holds a master’s degree in public health from the University of Michigan. She was born in Southwest Detroit, where she currently resides.